Pet ID Tag Only $3.70 Plus FREE Shipping! You are here: Home / Great Deals / Amazon Deals / Pet ID Tag Only $3.70 Plus FREE Shipping! New puppy on the way? Get her tagged right away with one of these highly rated tags! 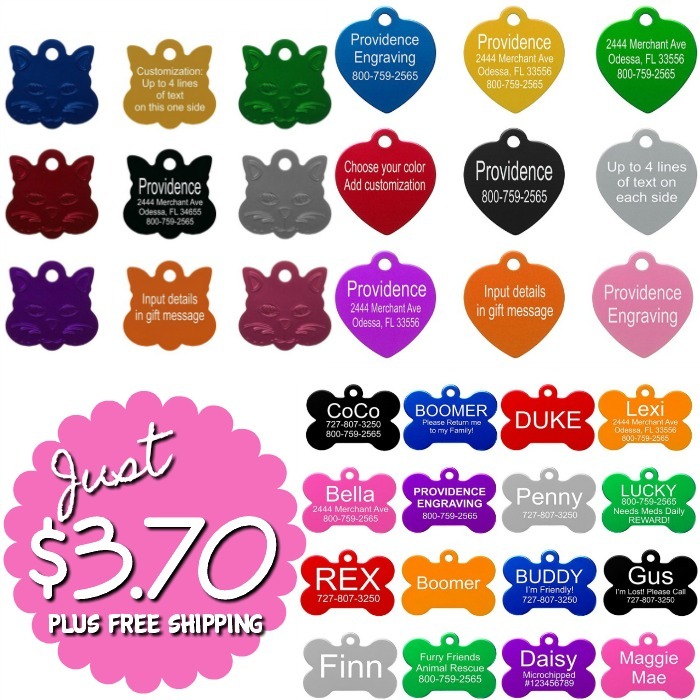 These Pet Id Tags are Only $3.70 Plus FREE Shipping, so get enough to have one on every leash & collar! Lots of colors and shapes to choose from!